Creativity is one of those words that gets thrown around and people have different definitions and ideas about what it means. * I have been told I’m creative even when I definitely didn’t feel it. * I have been told I’m not creative even when I definitely was. Everyone is creative in some way. It’s in the way you solve problems, manage your household, cook meals or maybe it’s in your paintings or photography. All of us are creative as children and I think that’s because our fears aren’t blocking our creativity yet. No one has told us that our work is not good enough and we haven’t faced the cold, harsh reality of others’ fears and criticisms getting in our way. The great thing is we can find our way to creativity again. You can shove those fears aside and get creative. For example, I always thought I couldn’t cook or that it wasn’t for me. I can’t exactly remember where I got that idea to be honest. But this past year I have made all kinds of things I would have never attempted previously. I no longer think that I can’t cook and I actually really like to cook. The same is true with anything. I somewhere got into my head that painting was something I could not do. It’s something my more creative friends did. When I finally tried painting and loved it. Now painting is something I regularly do and this year it’s something I want to do even more of! Sometimes you just need to give something a little try. Make mistakes. 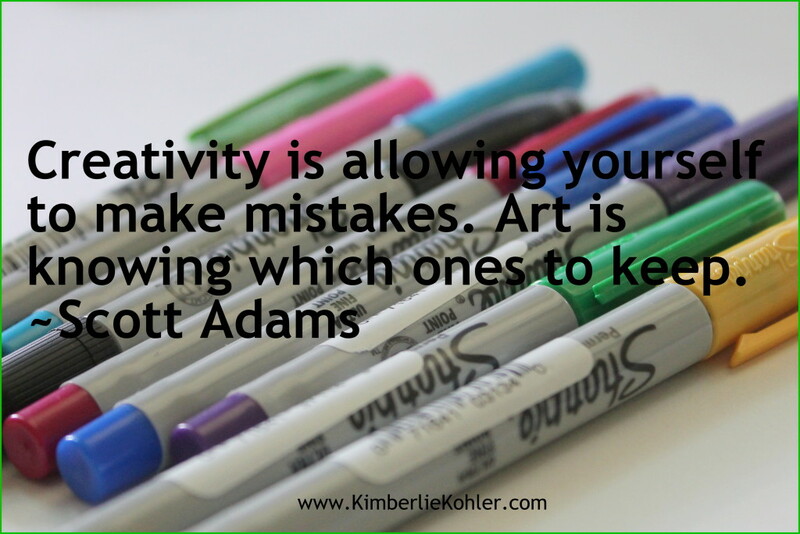 Make gorgeous mistakes and learn what you love and how you can creativity make it your own. There isn’t one right way to do anything. That’s what creativity is! What is something that you always wanted to do but never did because you ~ were told you couldn’t ~ felt like you weren’t talented enough ~ felt like you weren’t creative enough ~ felt like you weren’t good enough? Did you always want to write a novel? Did you always want to take photography? Did you always want to draw? Did you always want to make jewelry? Once you get the basic techniques down, it’s time to get more creative! Well, put your own flair to it. Change it up. Do it in a different way. One of my biggest thrills in teaching people how to make jewelry is to see how different they make from my original idea. 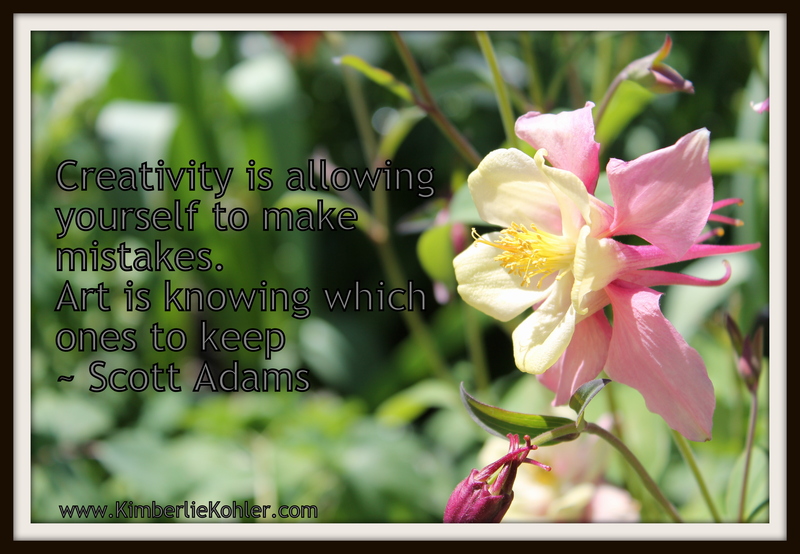 How are you going to be creative? If you’re looking to rediscover your creativity, I have just the thing for you! 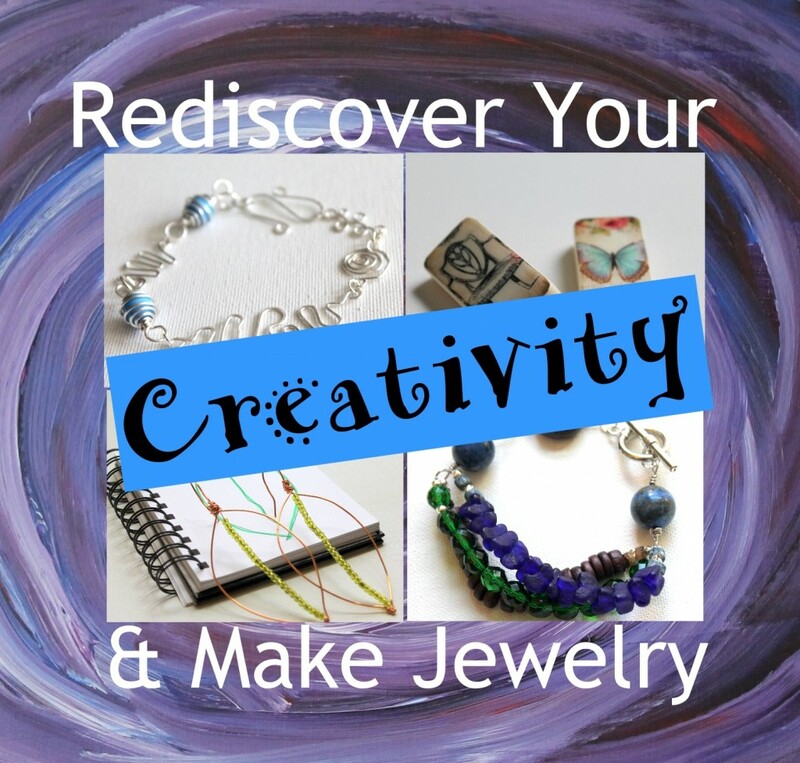 My Rediscover Your Creativity & Make Jewelry eCourse takes you through creativity prompts, jewelry making skills lessons and then jewelry projects. This is my most popular eCourse. 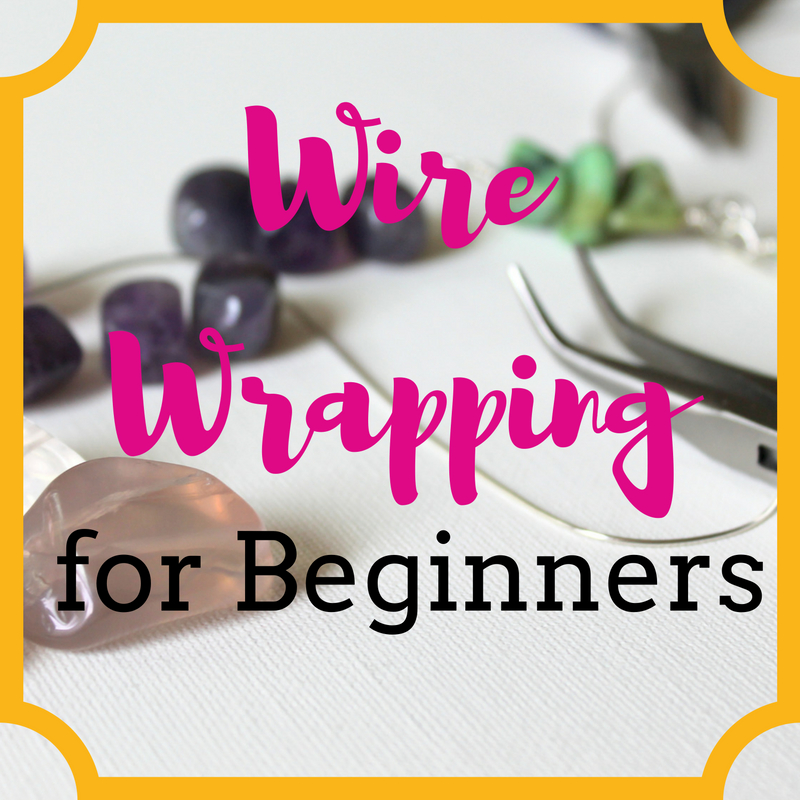 It’s a lot of fun and you get lots of tips, jewelry making lessons, jewelry projects and creativity prompts. 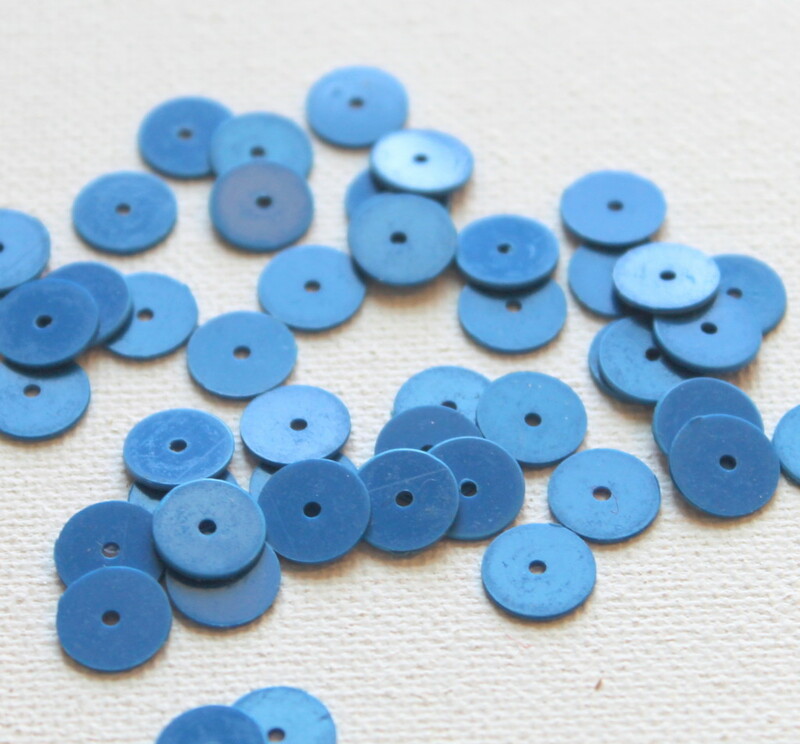 I got these awesome recycled vinyl disc beads from Happy Mango Beads. When I got them, I wasn’t sure how to use them. 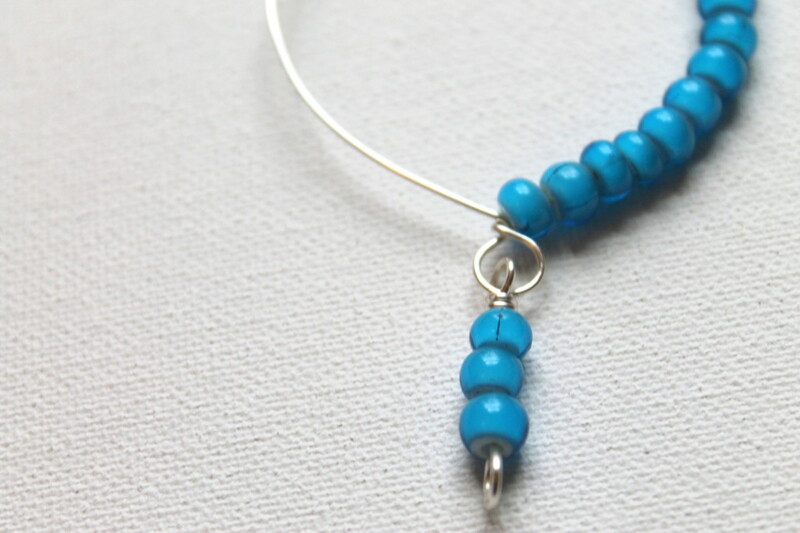 Then I realized that I liked the look of these disc beads all stacked together. 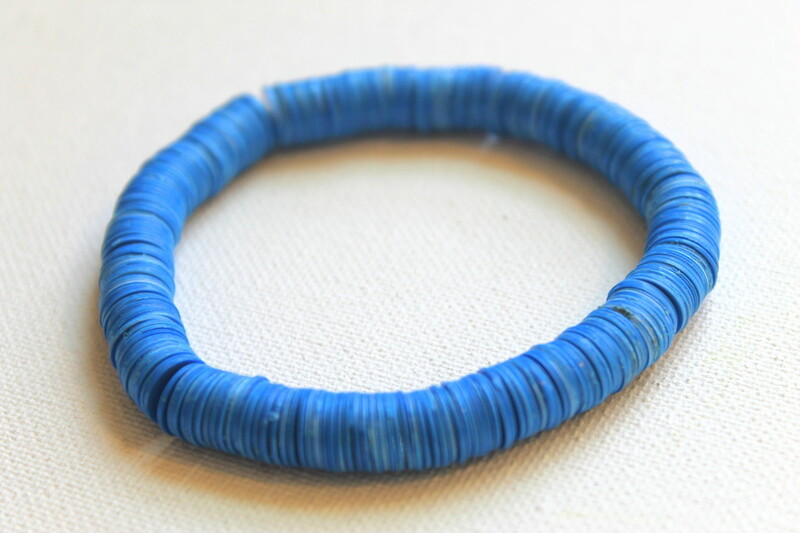 So I decided to make a simple stretch bracelet. Click here for How to Make a Stretchy Bracelet. 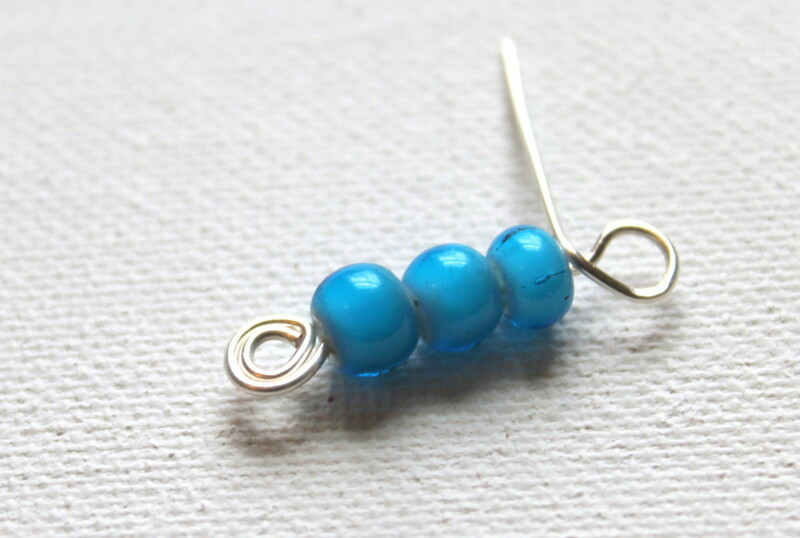 Tip: For these beads you could go crazy adding them one by one to your bracelet. So instead keep them stacked and add them a stack at a time. This worked really well for me. 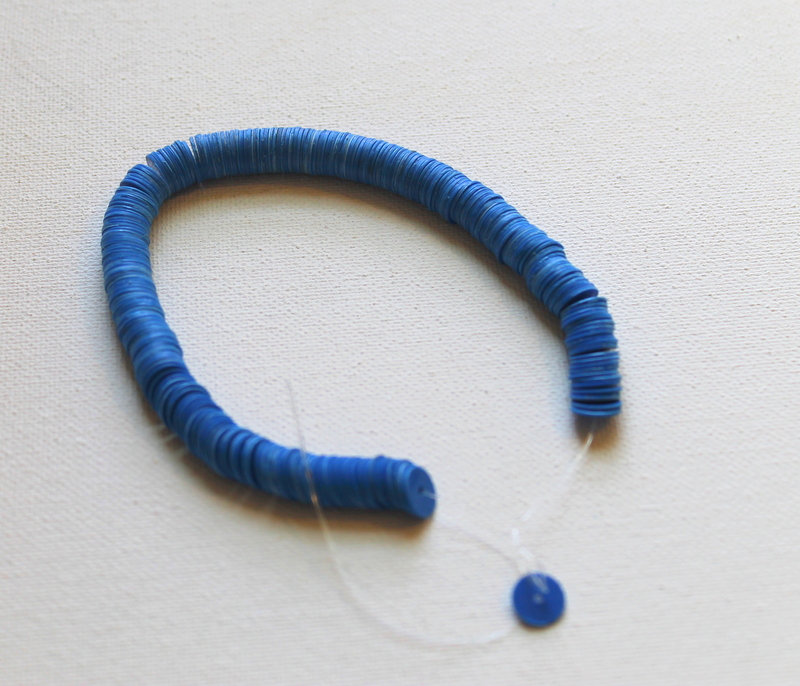 Use the Stretchy Bracelet Tutorial to learn how to make a knot that will stay! 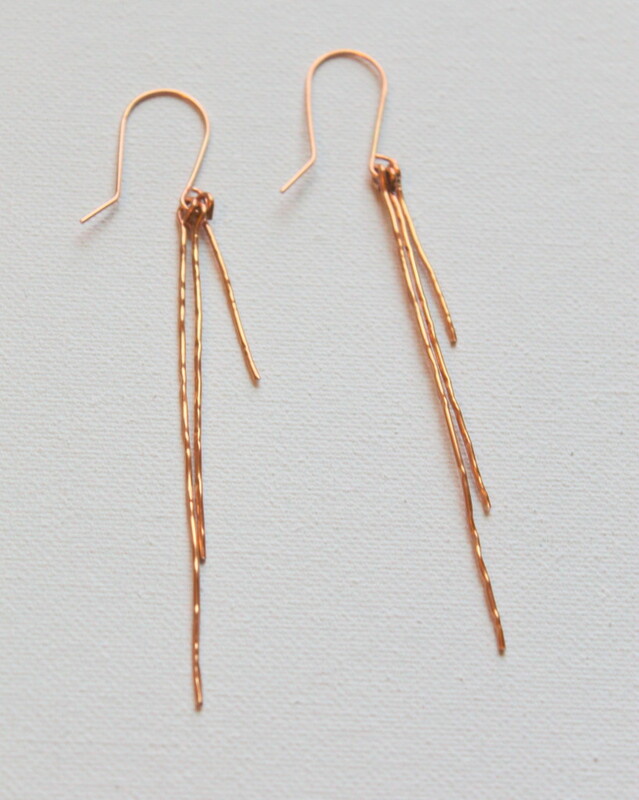 This is another simple, but elegant design using spirals. I didn’t actually mean to include spirals when I first started, but as I made this pendant, I added them. 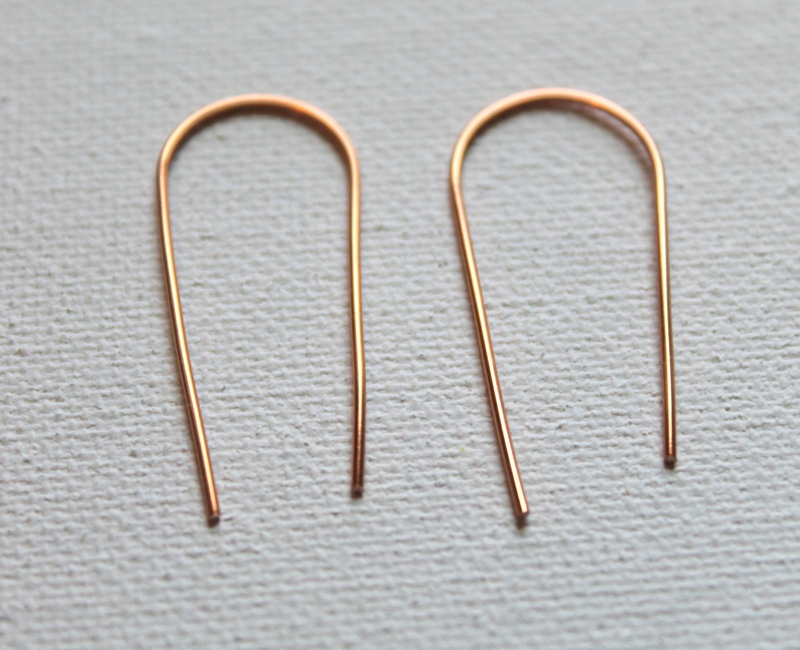 You can certainly skip the spiral at the top as well as the spiral headpins if you prefer to leave them out. 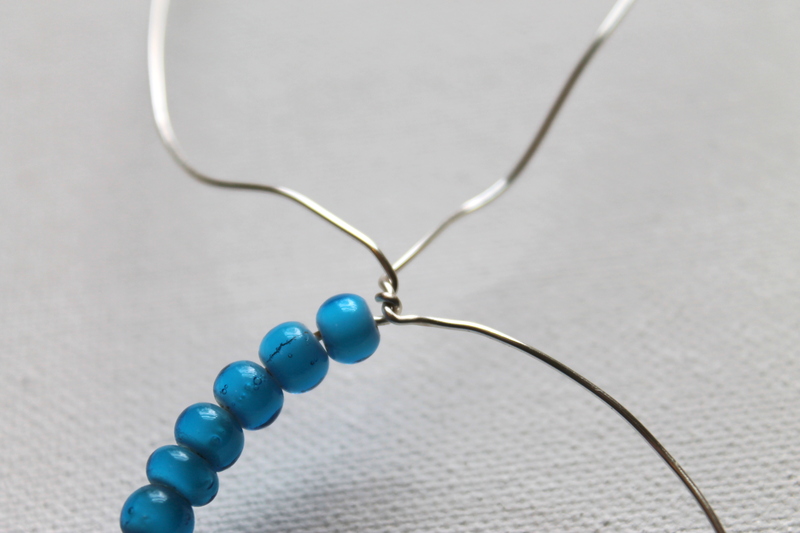 The original idea is from Crafty Jewelry. 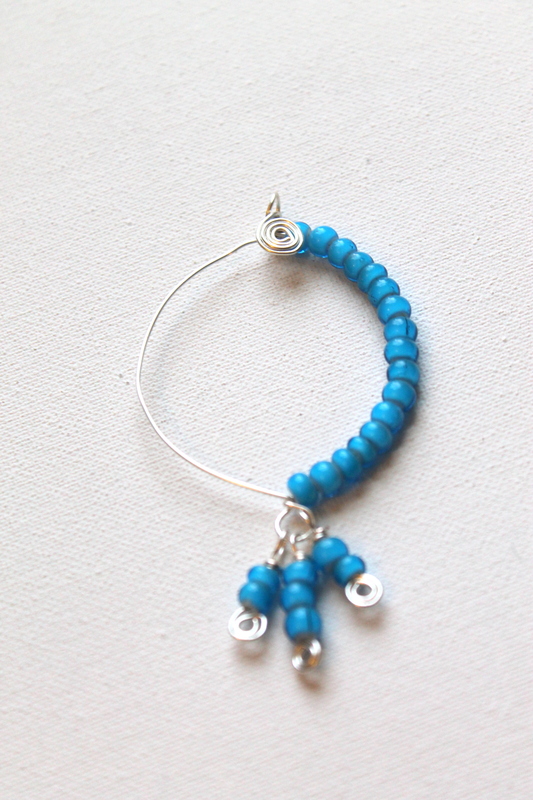 I added the spirals and I also teach you to make your own hoop. The pendant I made is relatively large. You can make as small of a pendant as you want. 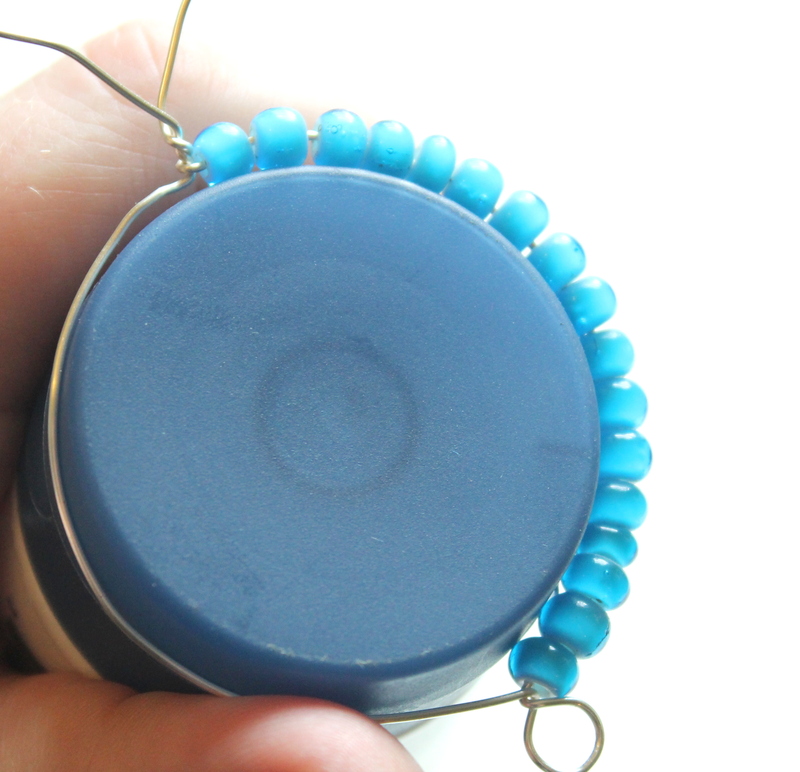 The other way you could customize this is to make it beaded all the way around instead of just one side. 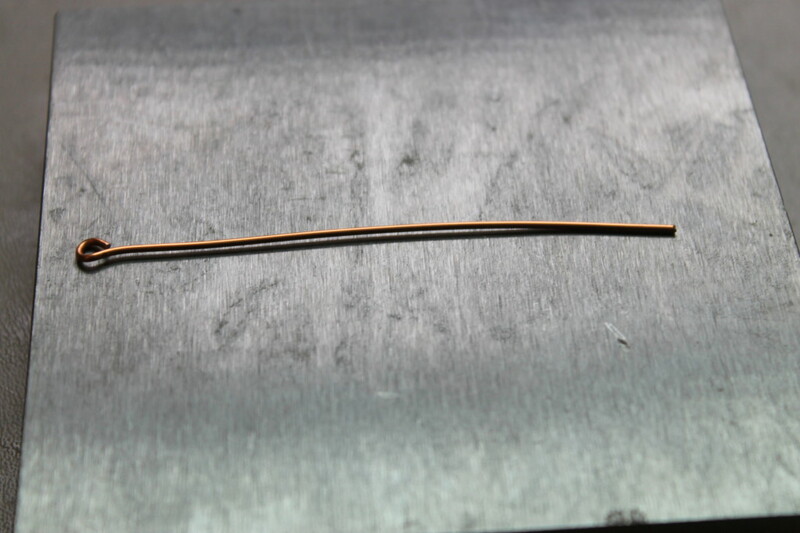 Cut a piece of wire about 13″ long. 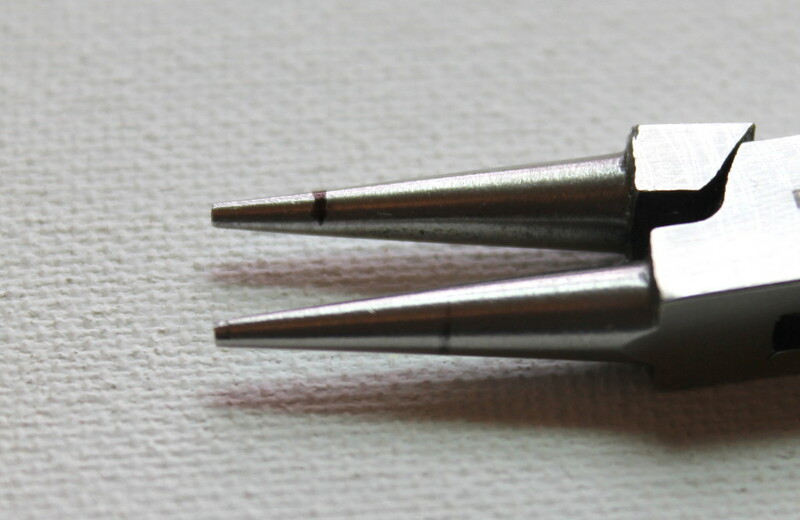 Hold the wire in the middle with round nose pliers at the largest part of the barrel of the pliers. Then make a loop by crossing the ends. 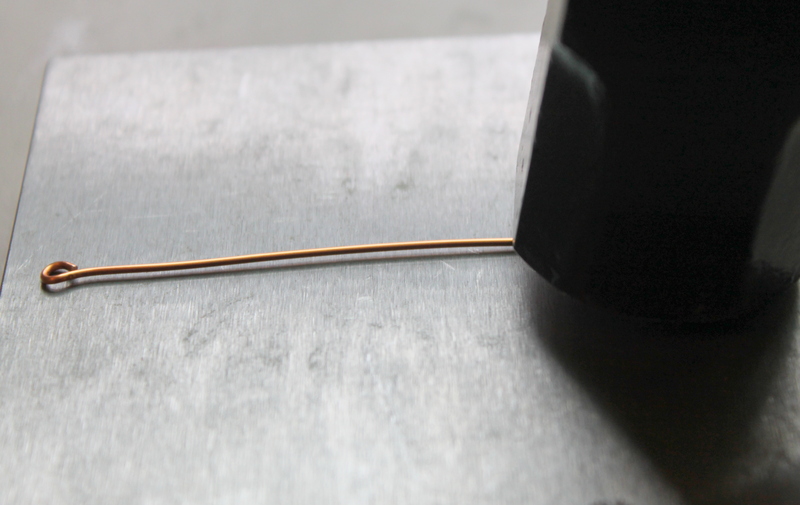 Twist the wire to secure the loop. You’ll have to push the wire especially where the loop you formed because it will be more in a triangle form. 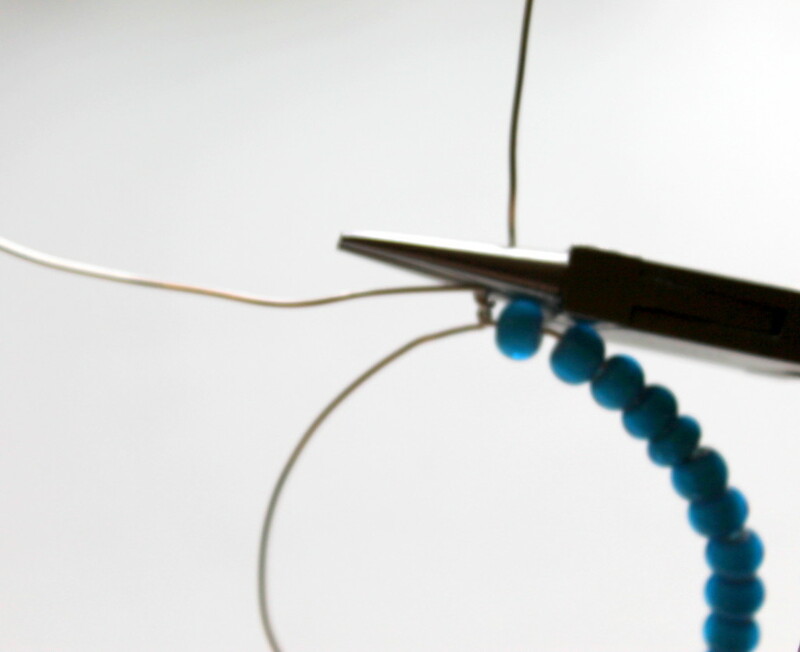 Cross the wires and make one twist right across from where your loop is. 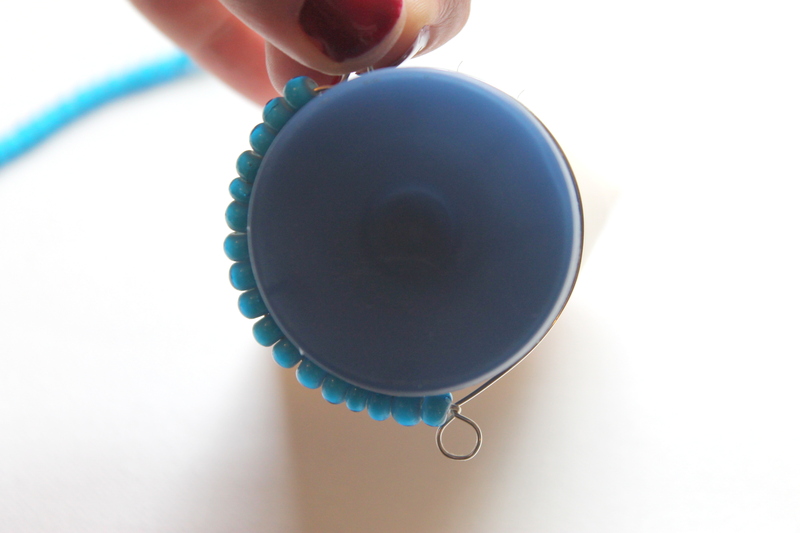 Straighten one of the sides out just enough to get the beads on. Slide the beads on. 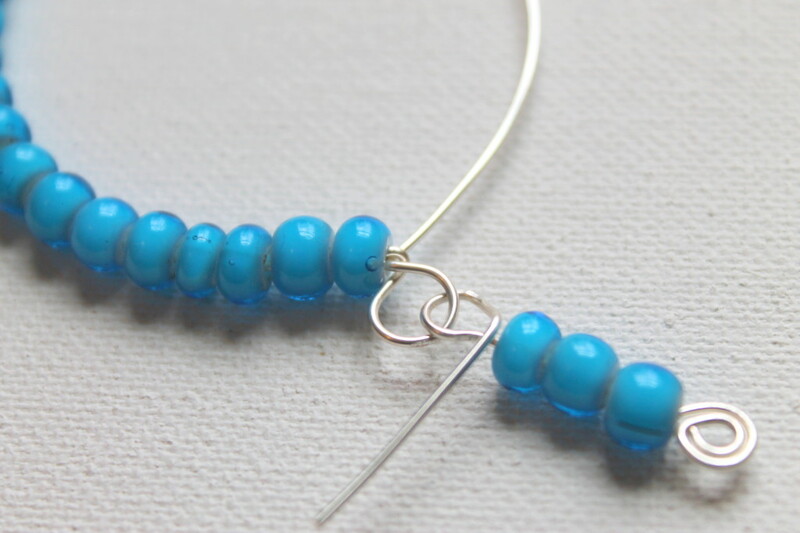 If you’re following my exact instructions, you’ll need 17 of the 6mm Turquoise White Heart Trade Beads. Put the wire back on the circle thing you used to begin with and reform the circle. Twist the wire twice and make sure it’s secure. 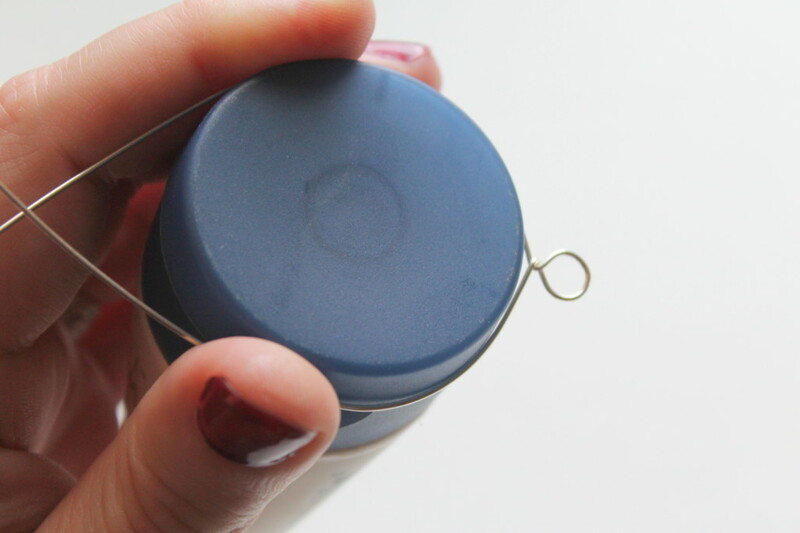 Hold one wire with your round nose pliers and wrap around one barrel. 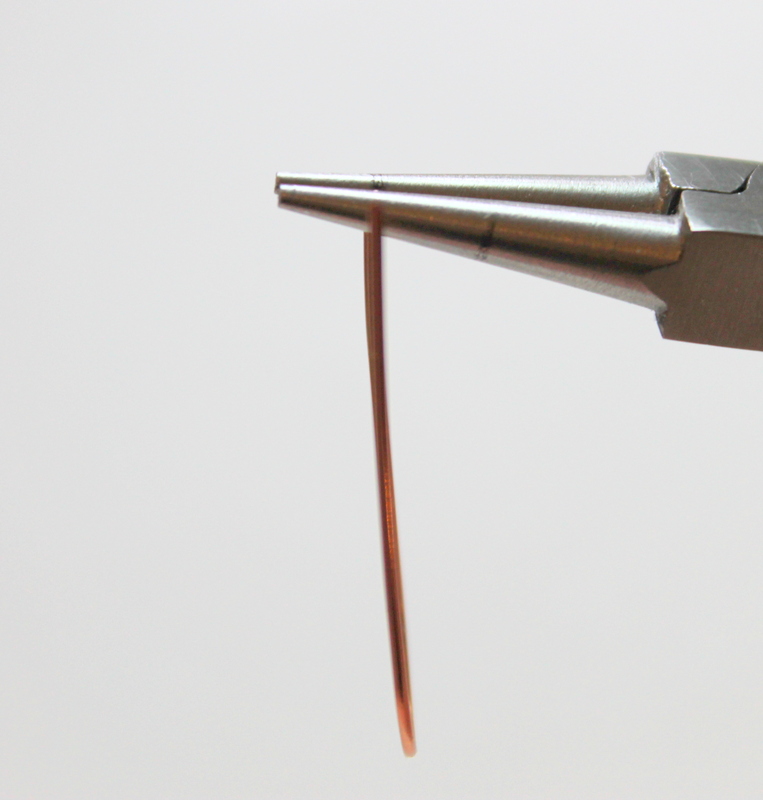 Take the loop off the round nose pliers and hold in chain nose pliers. 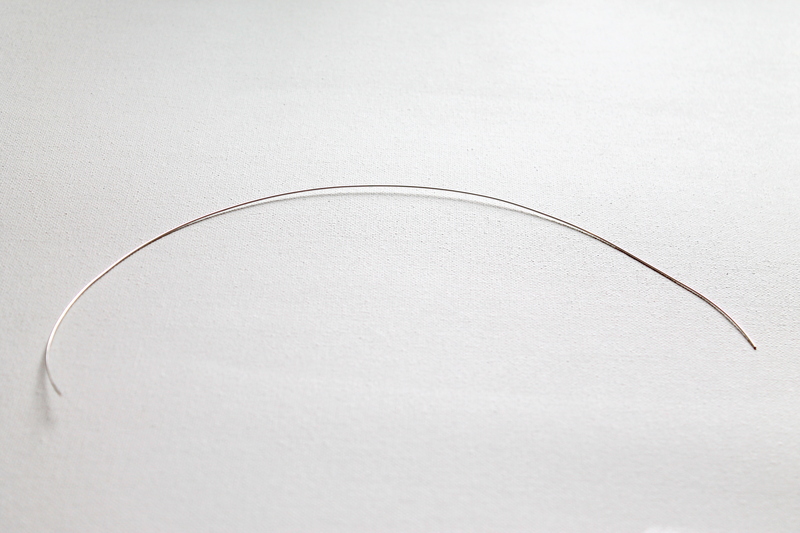 Straighten the loop. 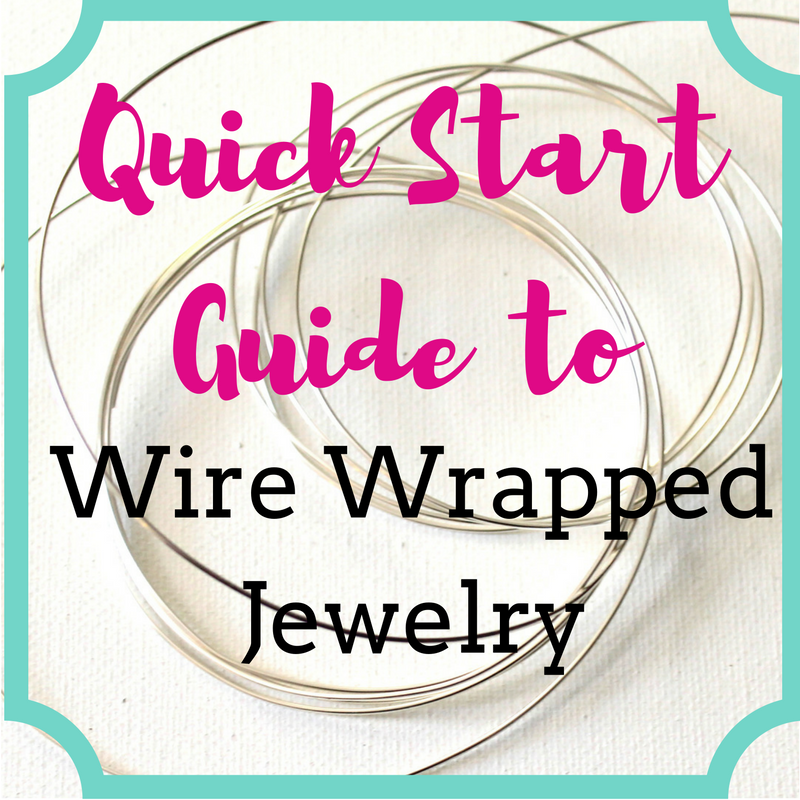 Continue wrapping that one wire in the same direction, but do not wrap the other wire. Make sure your loop is secure. I left a little extra wire at the end that I didn’t cut off until later. 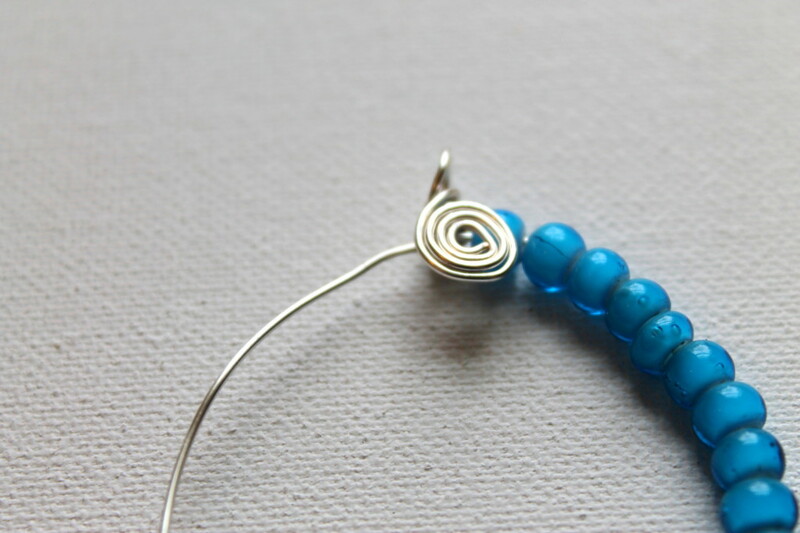 Now we’re going to make a spiral with the other wire. 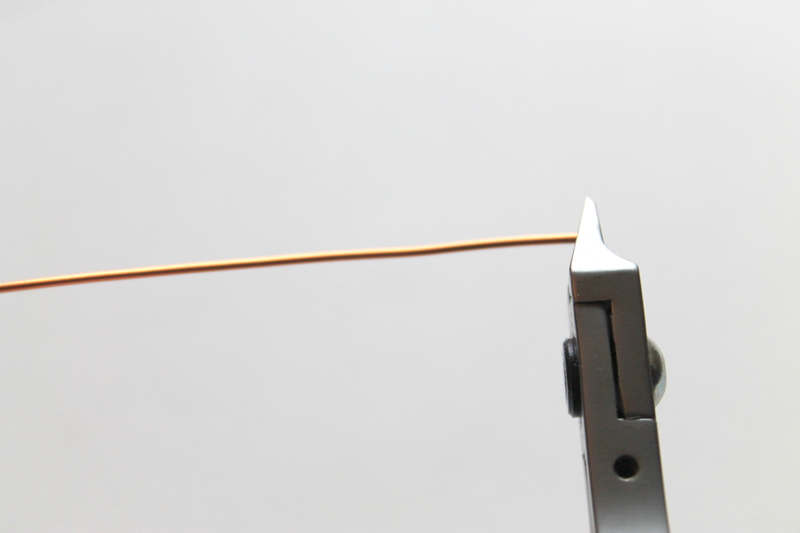 Make a flush cut on the end of the wire. 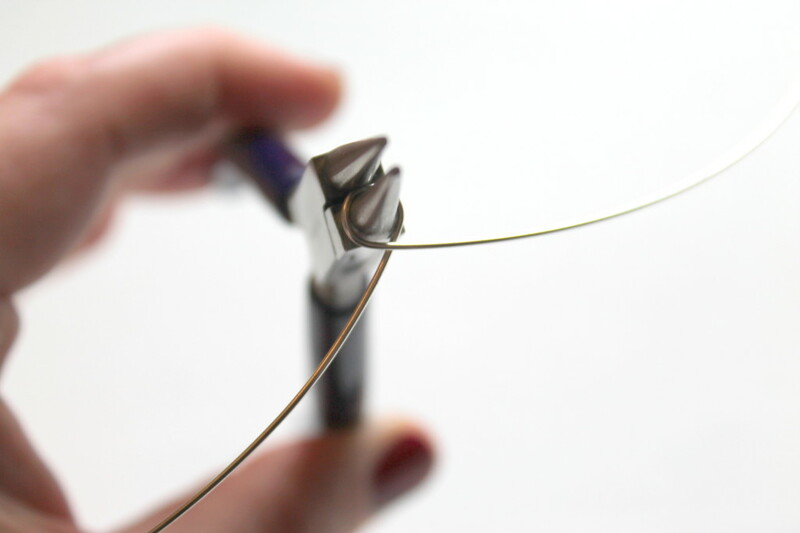 Hold the end of the wire between your round nose pliers. The wire should be at the end but not poking through the pliers. 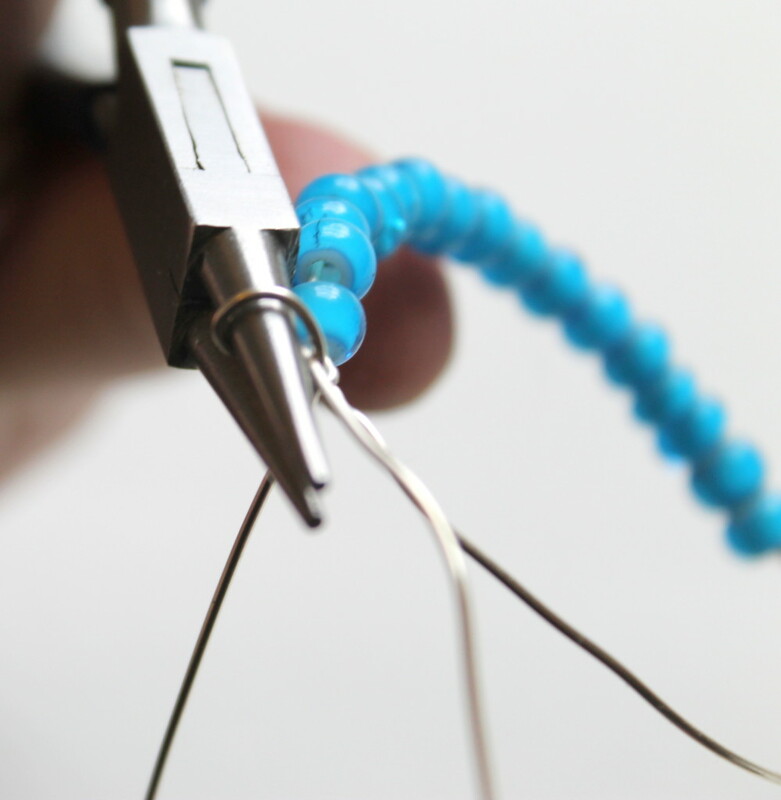 Twist the pliers away from you, using your wrist. 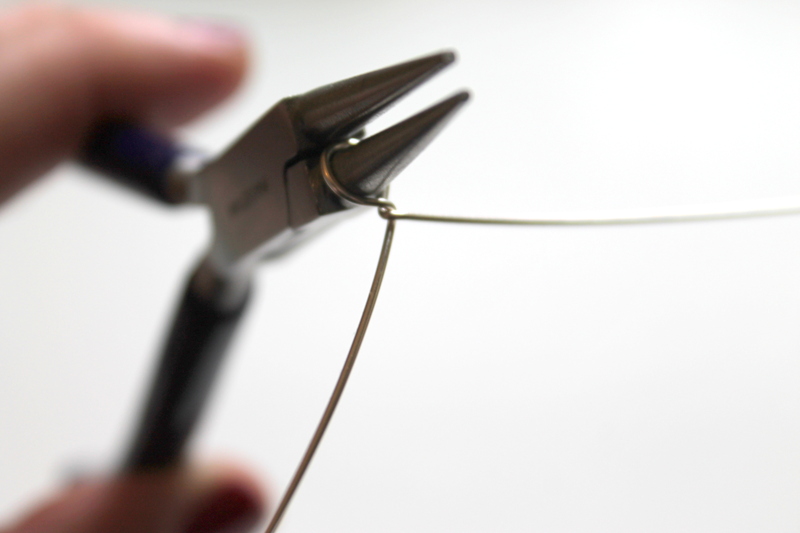 Once you go as far as you can, leave your pliers inside the loop but readjust the pliers and then finish the loop. The loop will look like a “p”. 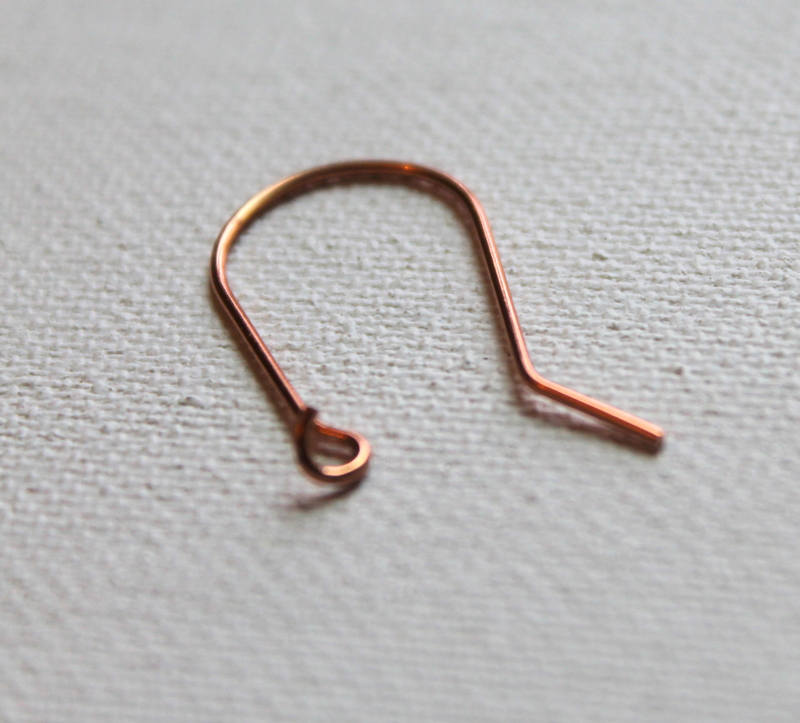 Hold the loop you made in chain nose pliers. 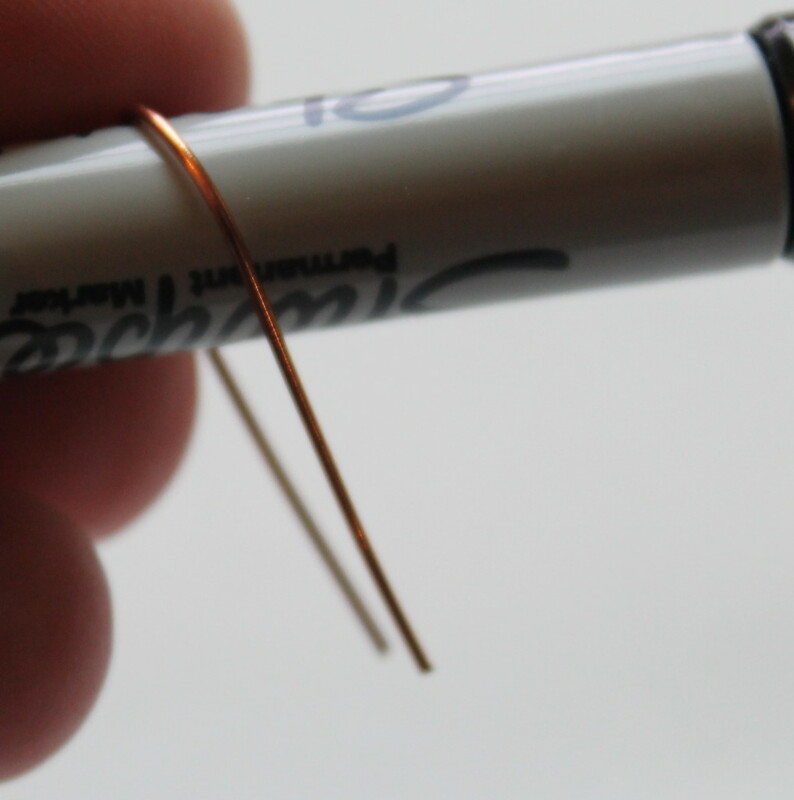 Bend the wire around the original loop to make a spiral. Push down the spiral like shown. 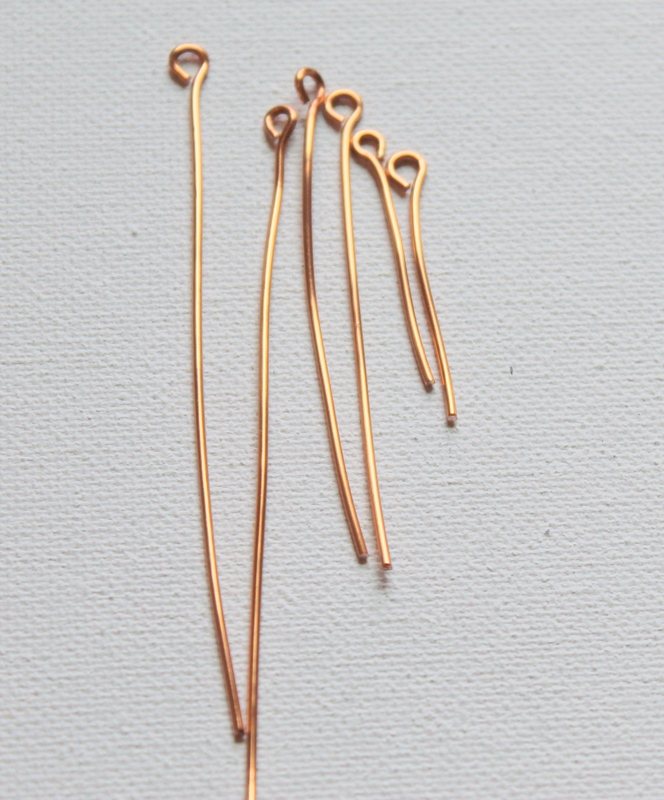 Now we’re going to make a few spiral headpins to make dangles. 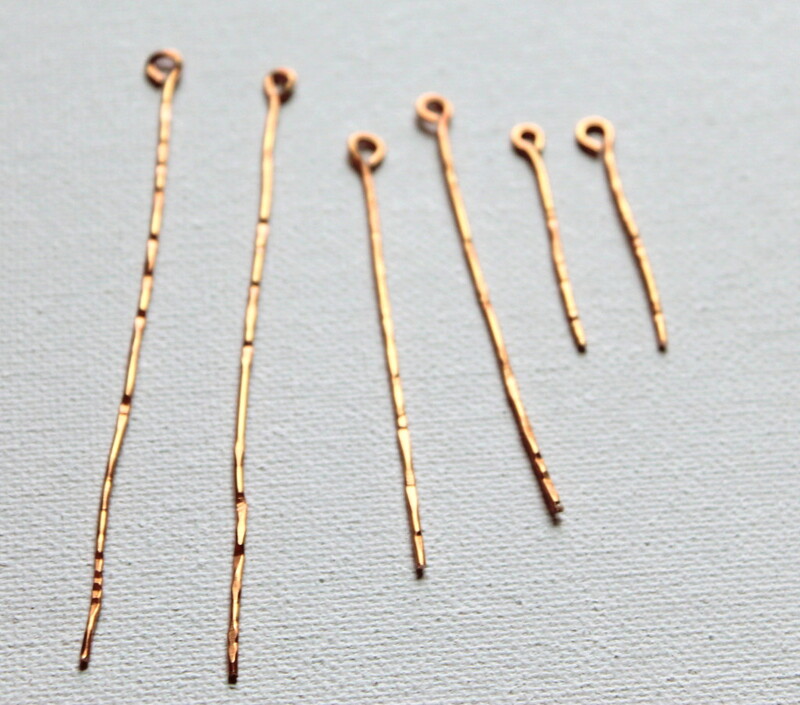 Here’s a video of how to make geometric headpins (including spiral headpins) if you prefer to learn via video. 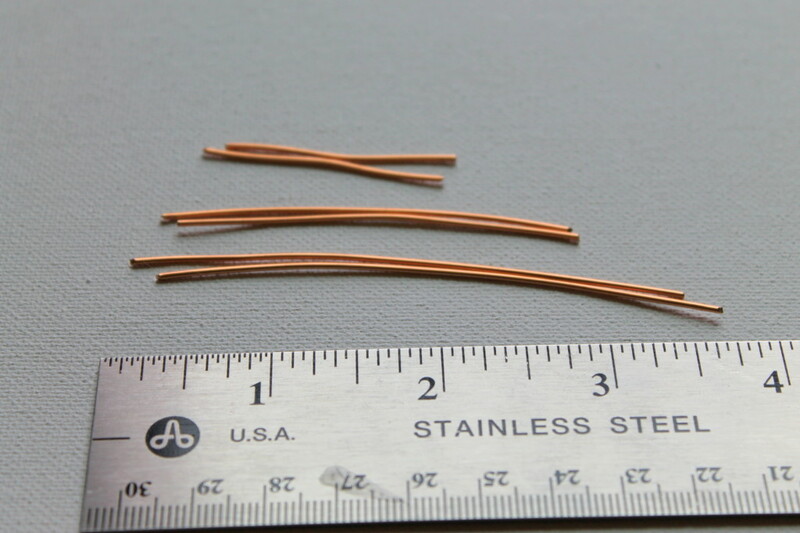 Cut 3 pieces of wire 3″ long each. Follow steps #11 – #14 to create the spiral. Go around 2 times. 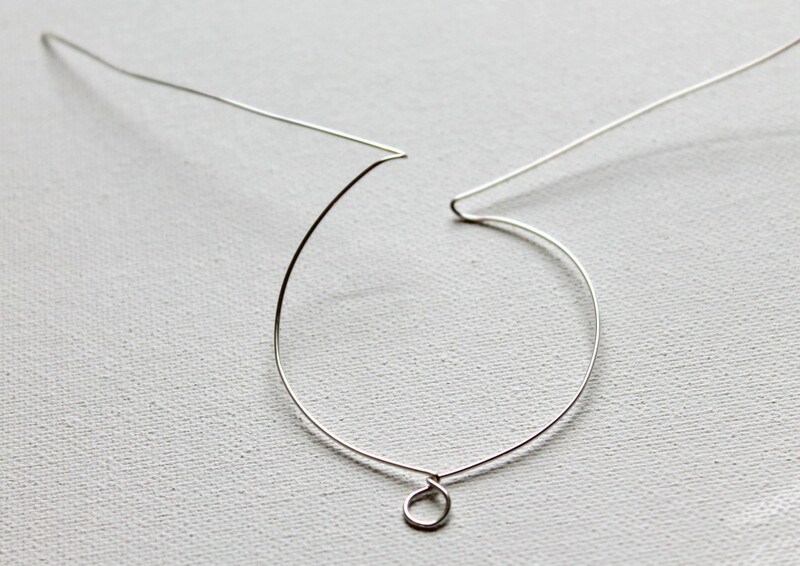 Then bend back the wire to make it straight above the spiral. 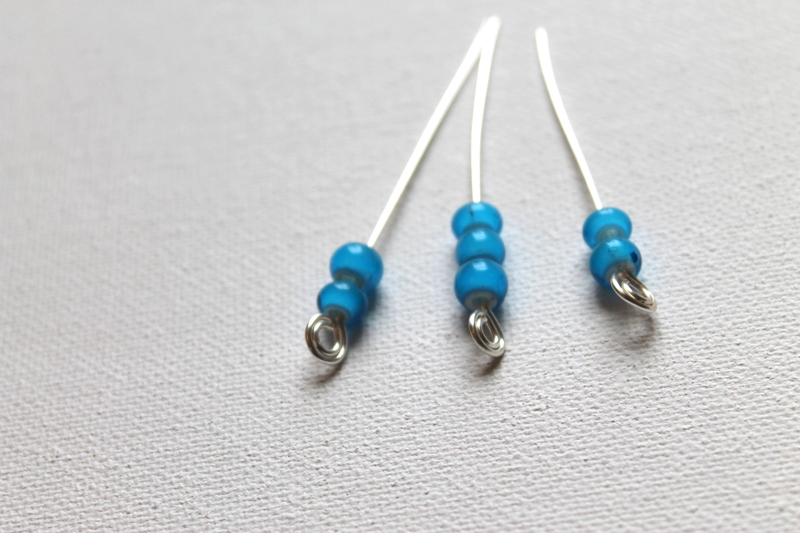 Slide beads onto the headpins. I made a total of 3: 2 with 2 beads and 1 with 3 beads. Now we’ll make a bead dangle. 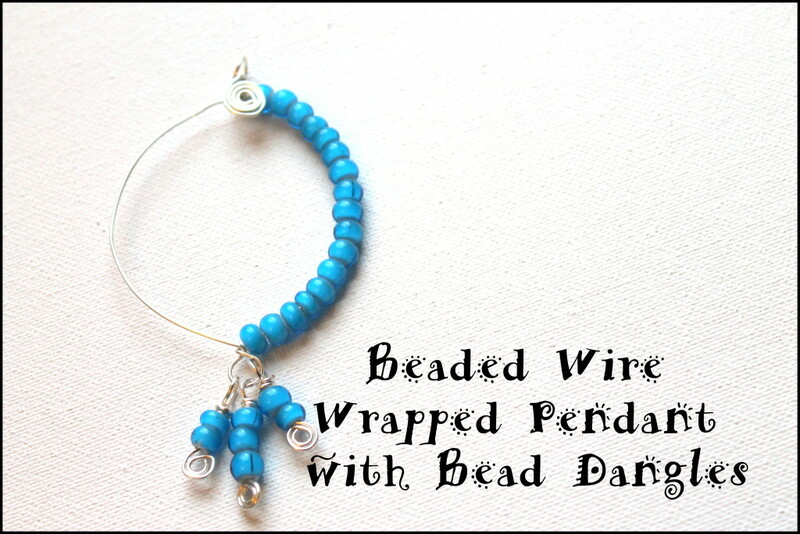 For a video on how to make a bead dangle, click here. Hold the wire in your round nose pliers. Bend the wire down and around the barrel of round nose pliers. Do not complete the wrap! 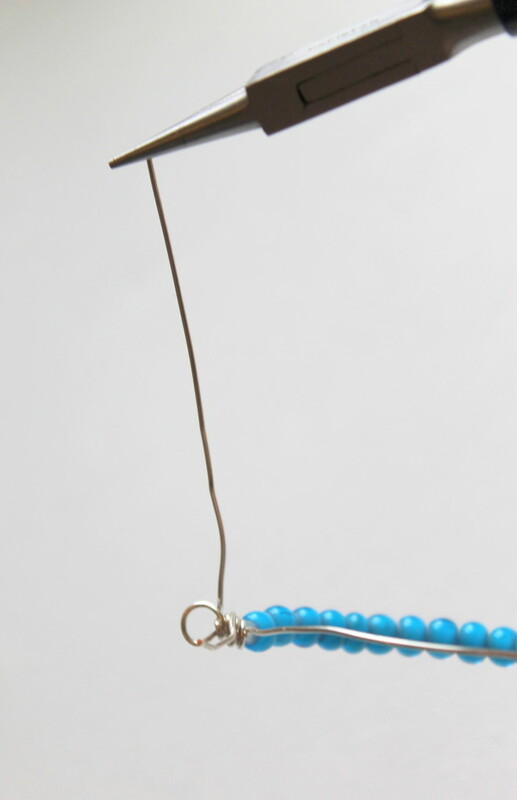 Place the dangle on the loop you made on the bottom of the pendant. Repeat for the other dangles. Slide on a chain and wear your unique new pendant! 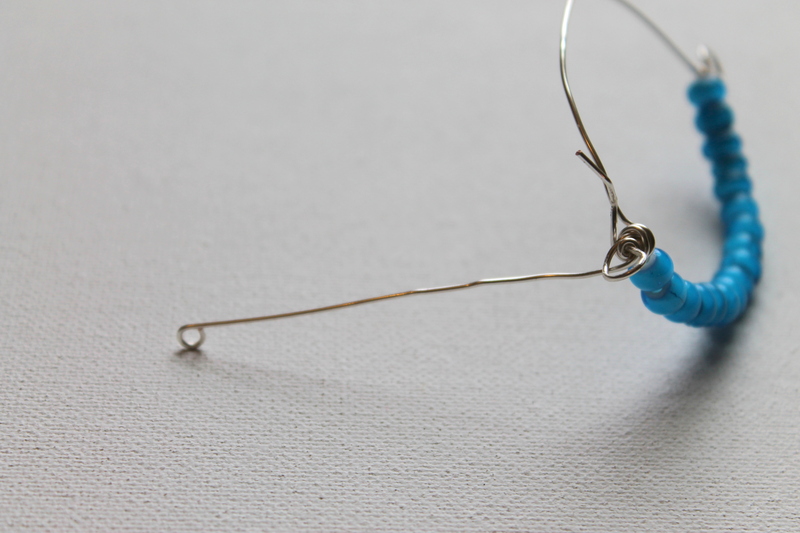 These earrings are so much fun to make and wear! 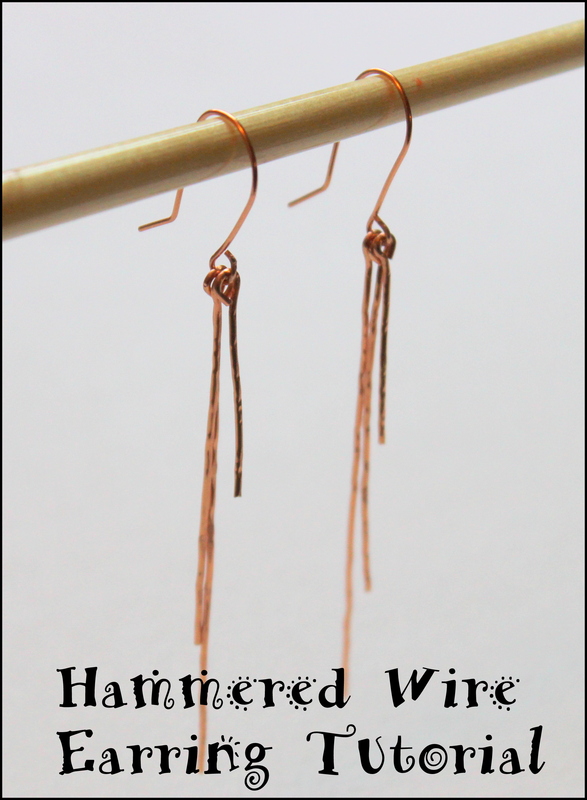 The only material you need is wire! 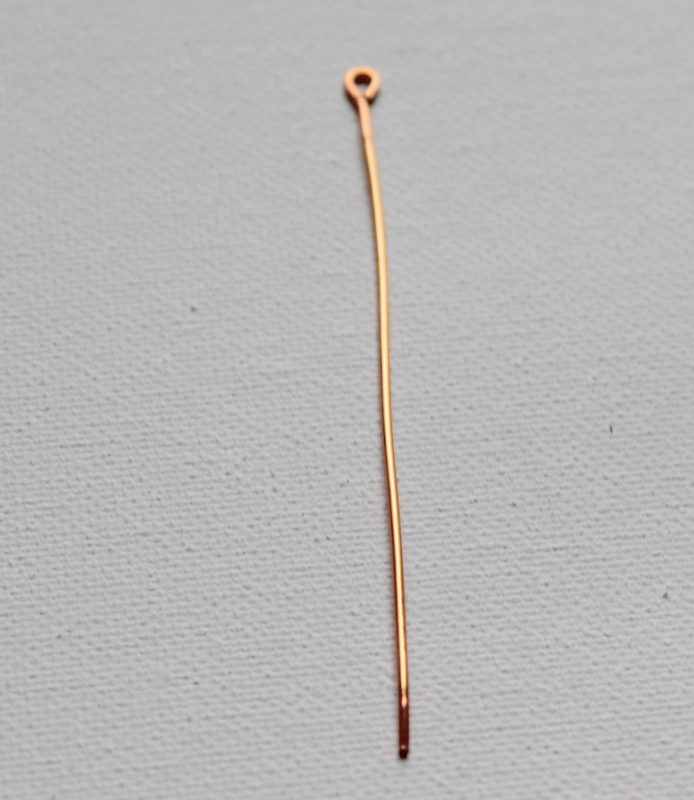 I used 18 gauge copper, but you could use any metal you like. 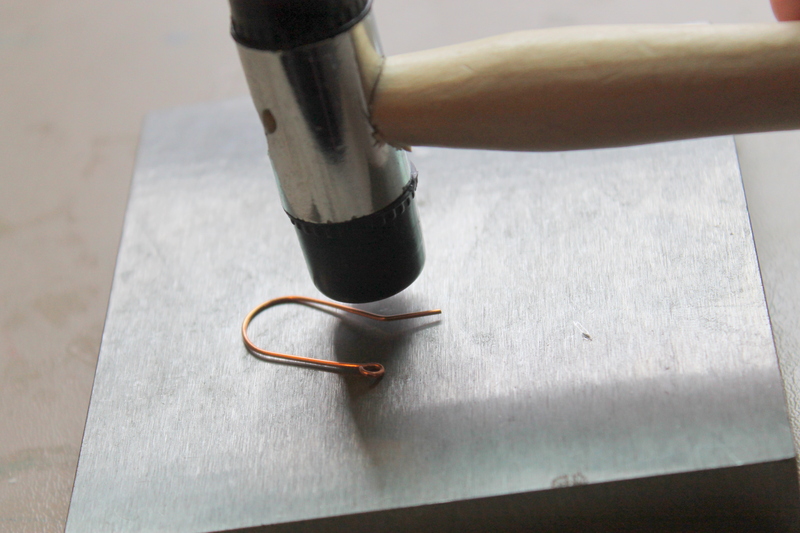 This tutorial will get you started with some very basic hammering. If you haven’t done it before, this is a great tutorial to start with. I also have a great tip for making your loops all the same! 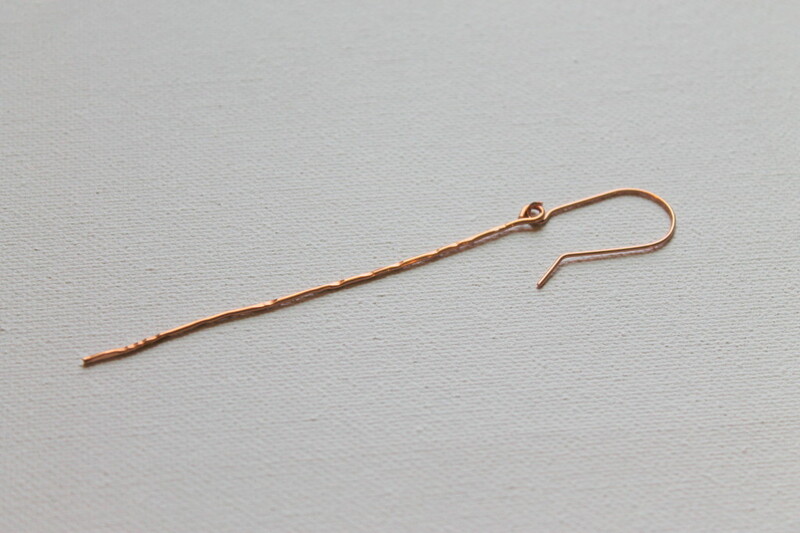 Note: You can definitely customize these earrings to your own taste and liking. 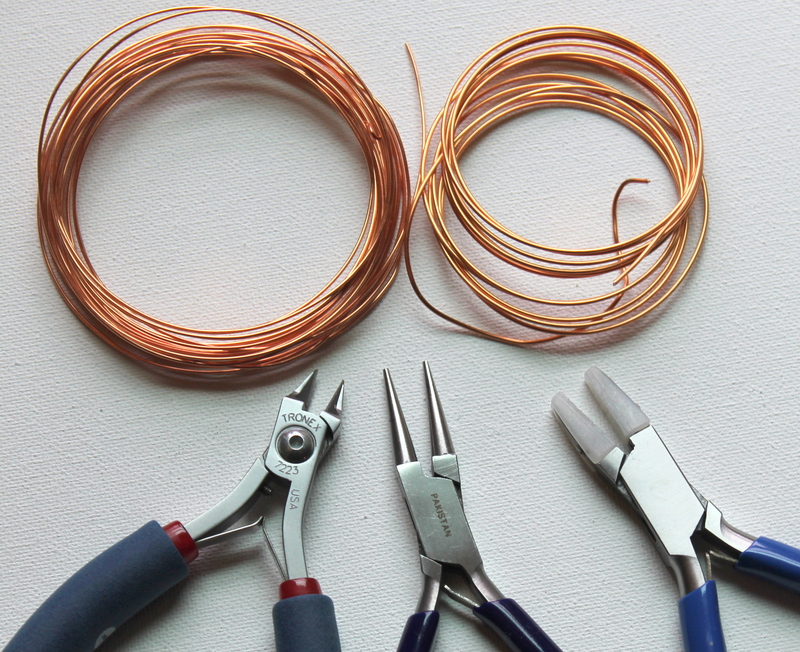 If you prefer longer, cut longer wire; if you prefer shorter, cut shorter wire. 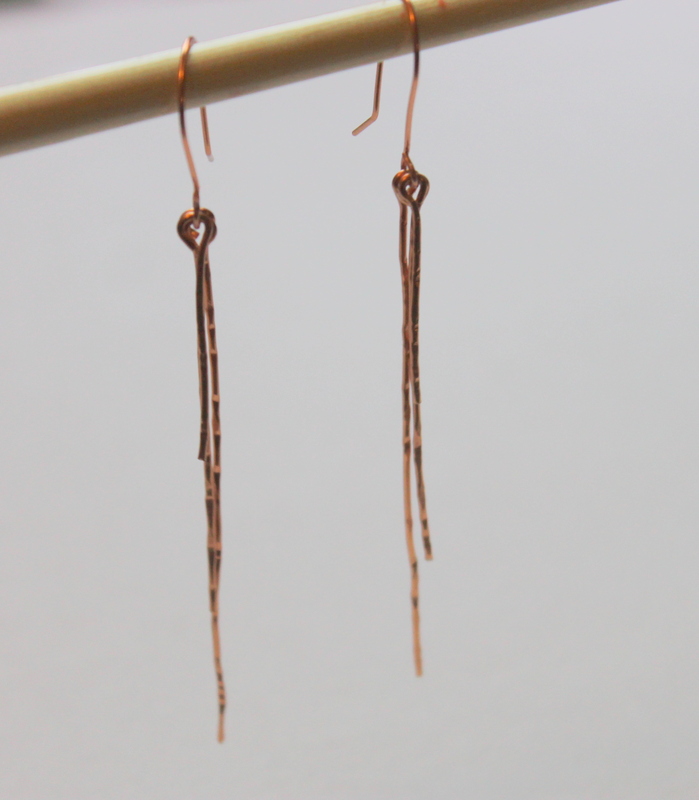 You can also use different metal if you like. HINT: Trim each side so they are flush cut. 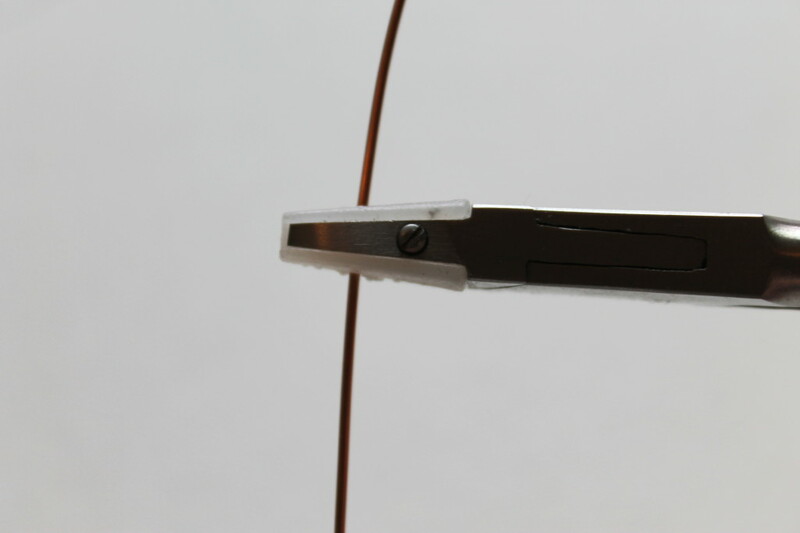 Use the flat side of the wire cutters to get the flush cut. 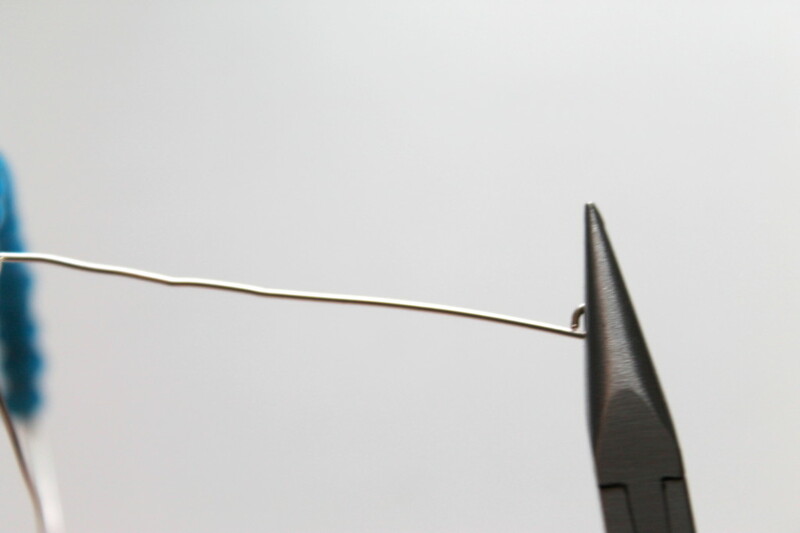 Use nylon pliers to straighten the wire. 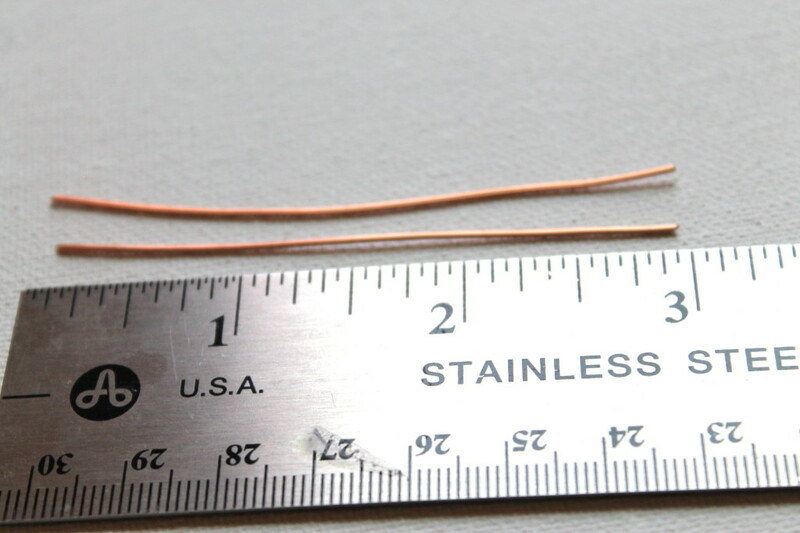 It’s probably actually easier to do this as you’re cutting the wire because you have more to hang on to. You can also often accomplish this by just using your hands in the same way. 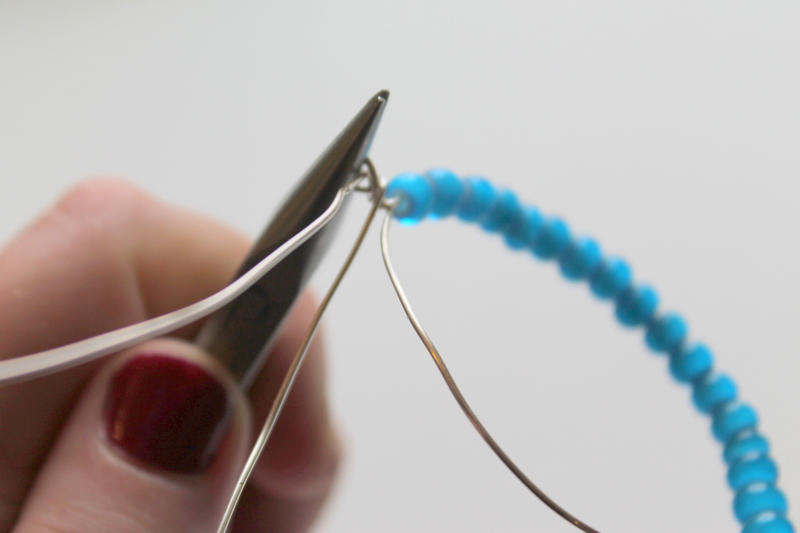 HINT: When you’re making loops in wire, it’s a great idea to mark on your round nose pliers where you will be wrapping. This is helpful when when making individual loops, so you can stay on track and also so you can make uniform loops. You’ll see my pliers have two different spots marked. 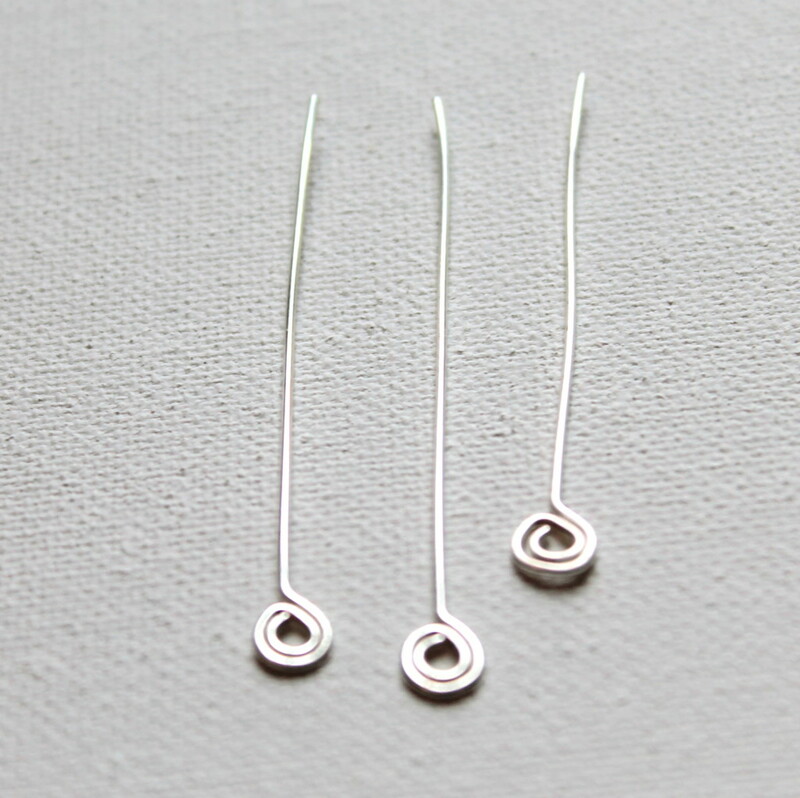 I’ll be using the mark close the the end to make smaller loops. 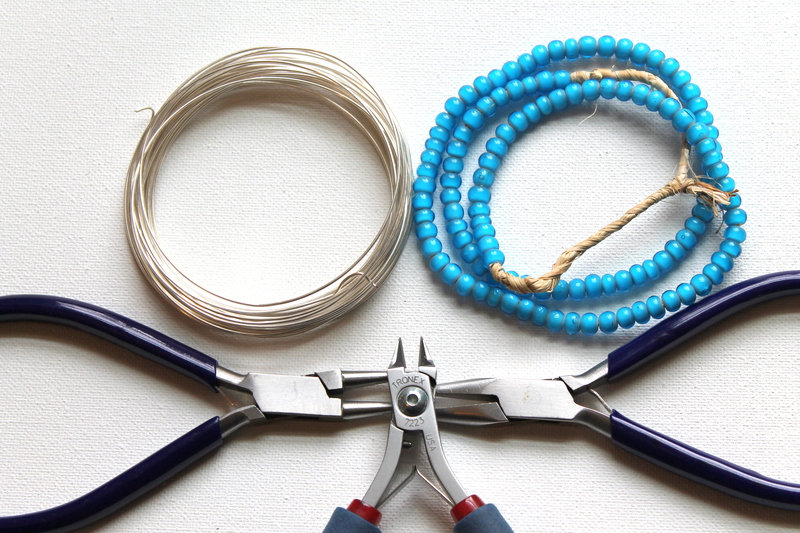 Roll your wrist and the pliers away from you as far as you can. 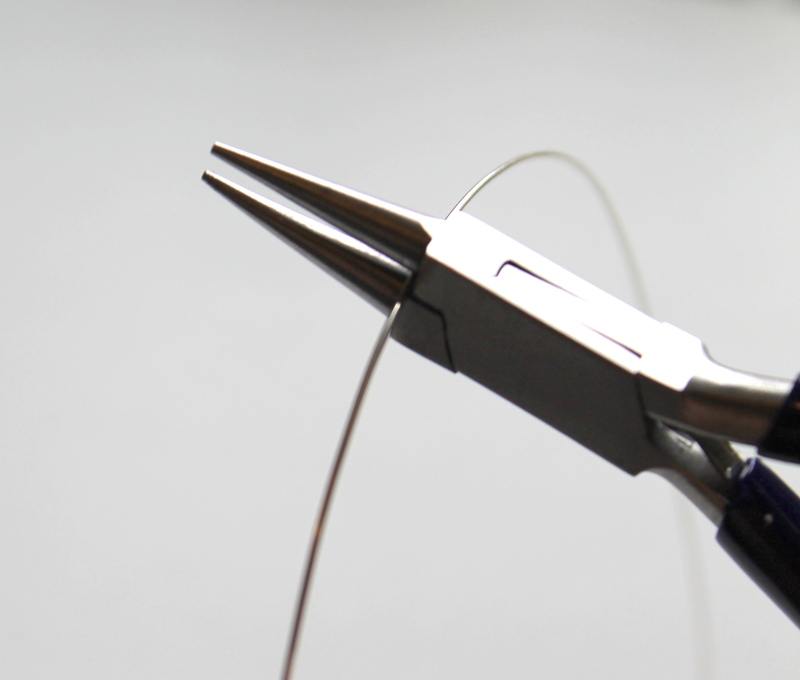 Readjust the pliers and roll away again until the loop is complete. 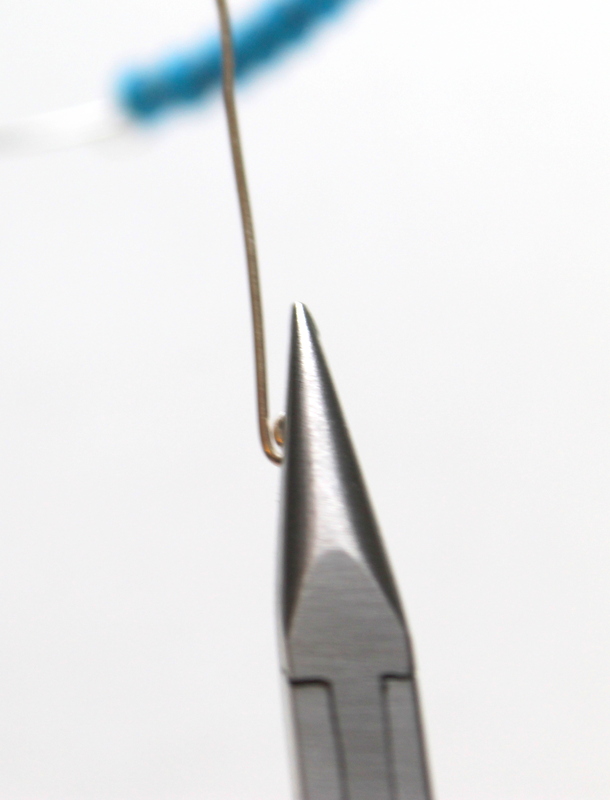 You will end up with a “P.” Then use your round nose or chain nose pliers (whatever works for you) and make a bend in the wire, so that the loop is centered at the top of the wire. 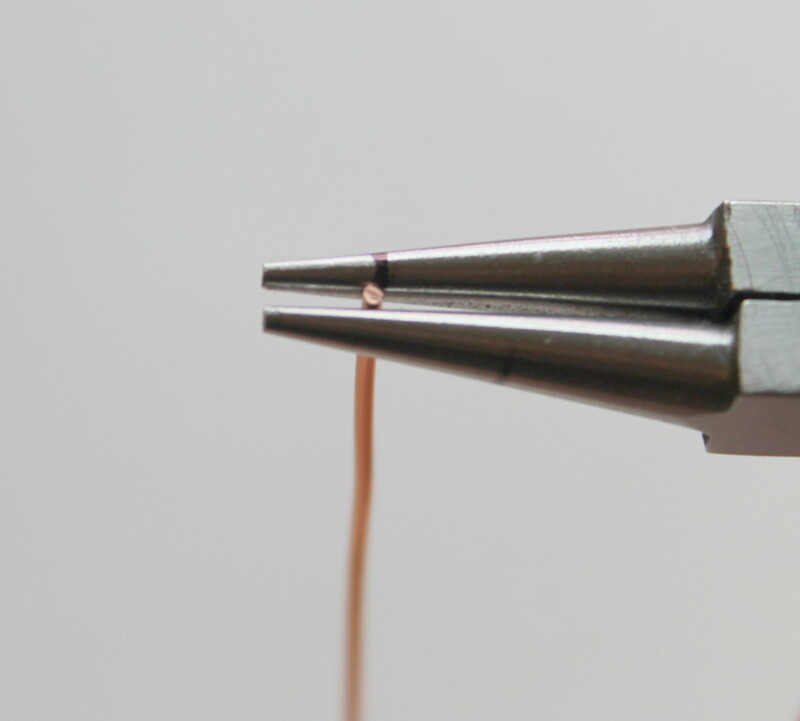 Repeat this process for each of the wires you cut. My favorite part!! 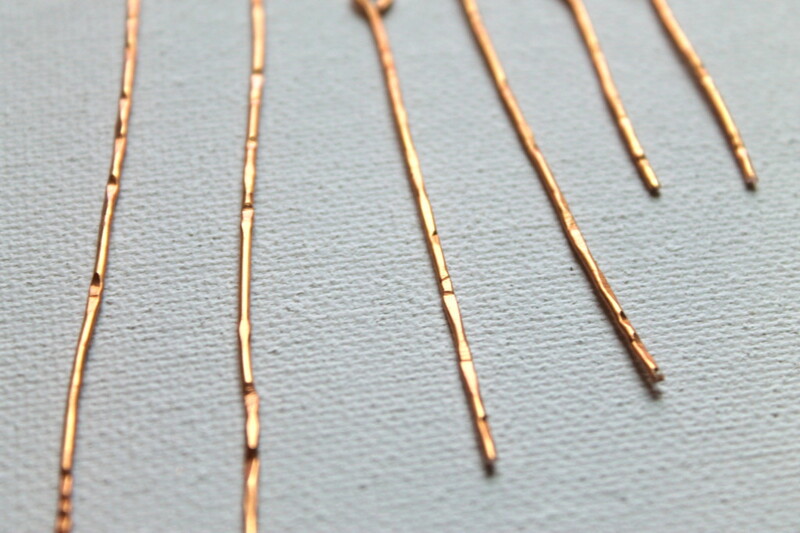 Place each wire on a metal block or anvil and hammer it. For this, you can really use any hammer you have or want. Hammer until you’re happy with the the results. Cut 2 pieces of 18 gauge wire to about 3″ long each. Flush cut them. 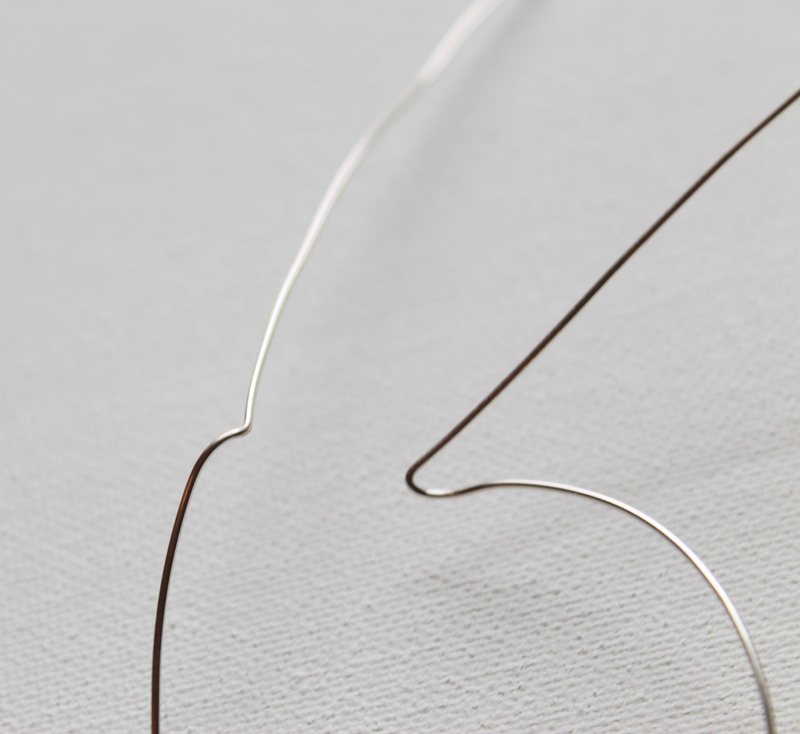 Bend each wire about in half. 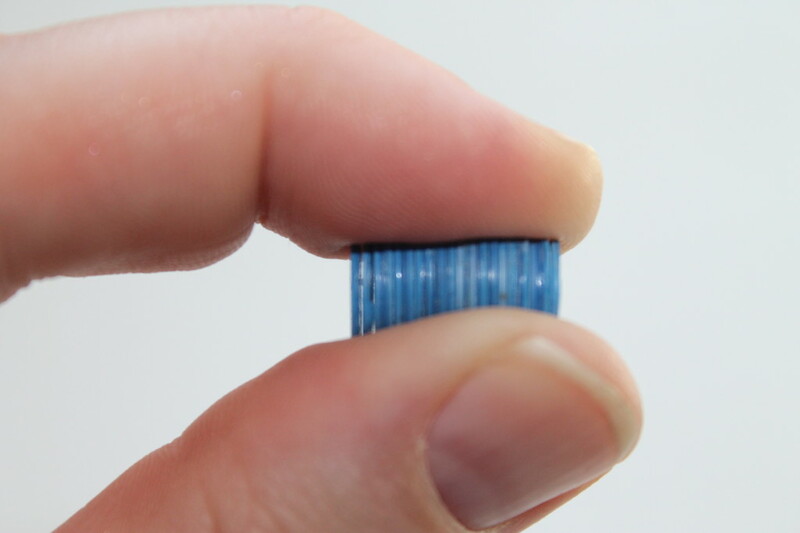 You can bend them around a marker or other round surface. 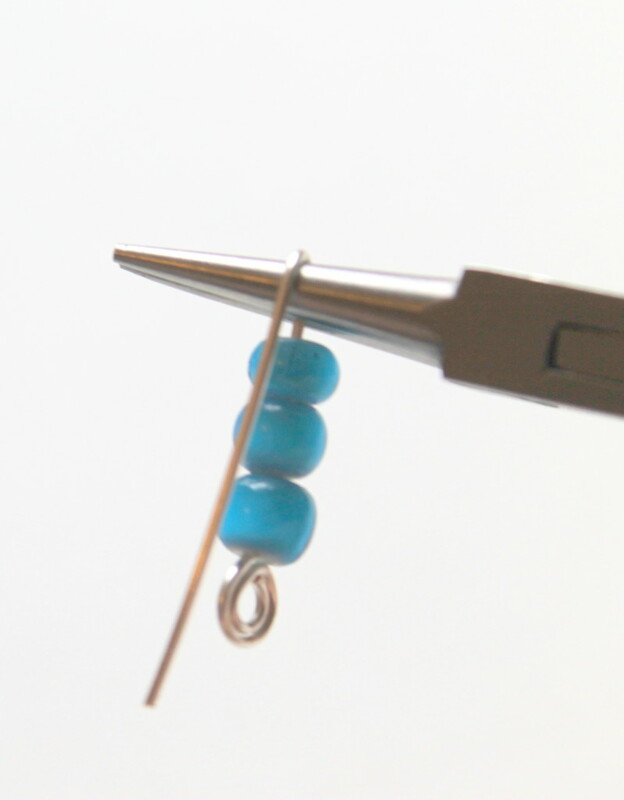 Follow step #3 – #5 and create a loop on one end of each wire. 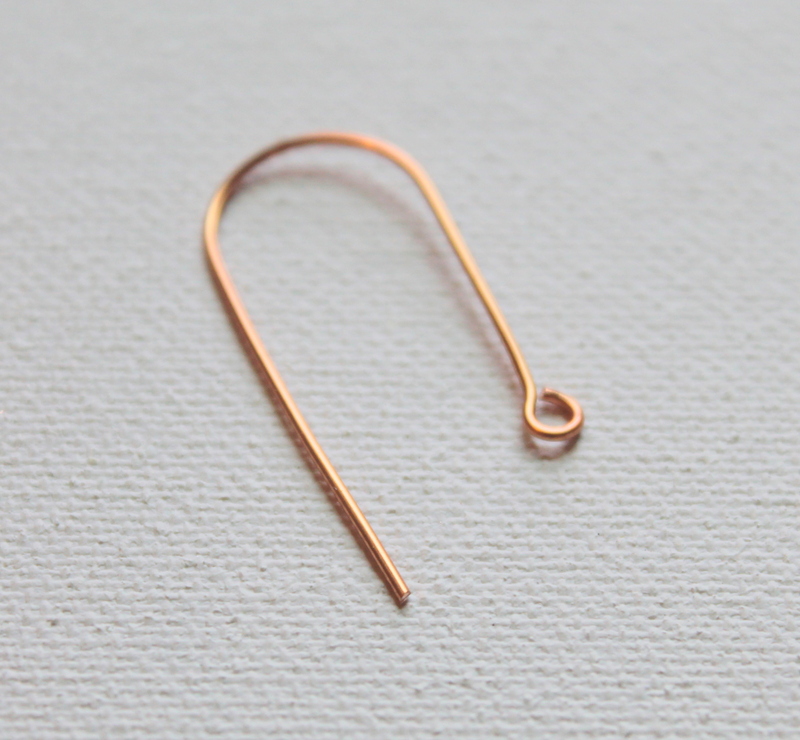 However, you’ll probably need to make the loop a little larger than the loops you made previously. Bend the other end up a little at the other end. 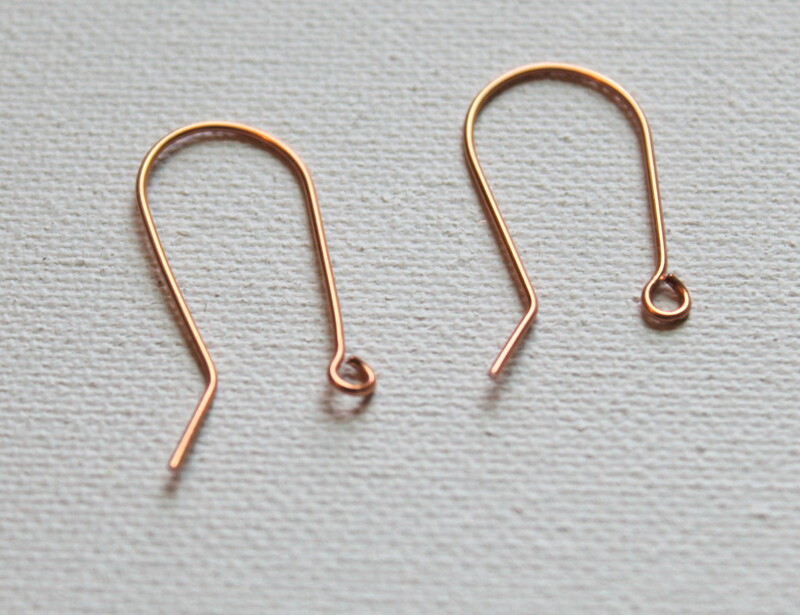 Open the loop of the earring wire. Add each of the hammered wires to the earring wire, one at a time. 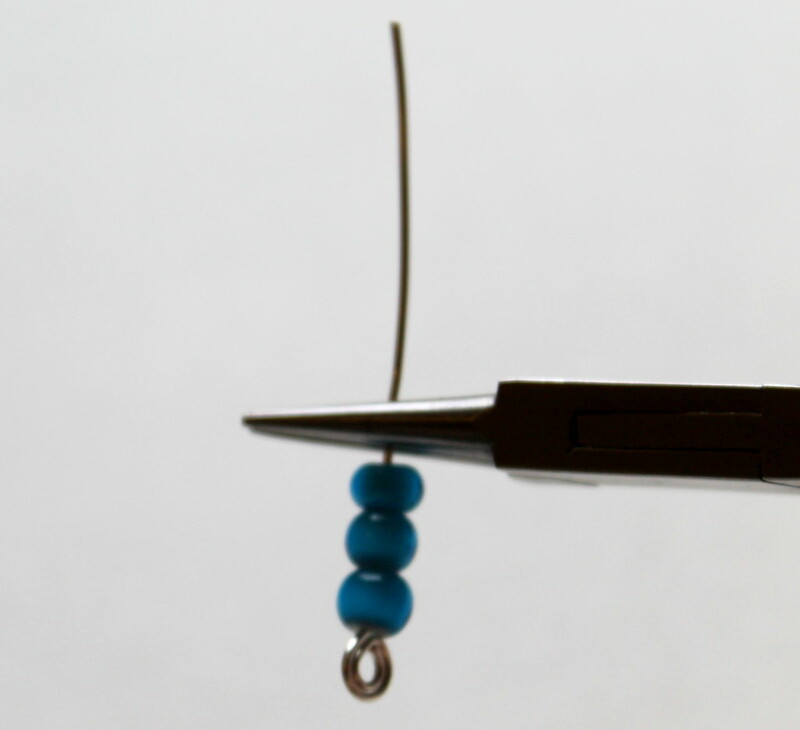 Each earring wire gets one of each size, starting with the largest to the smallest. 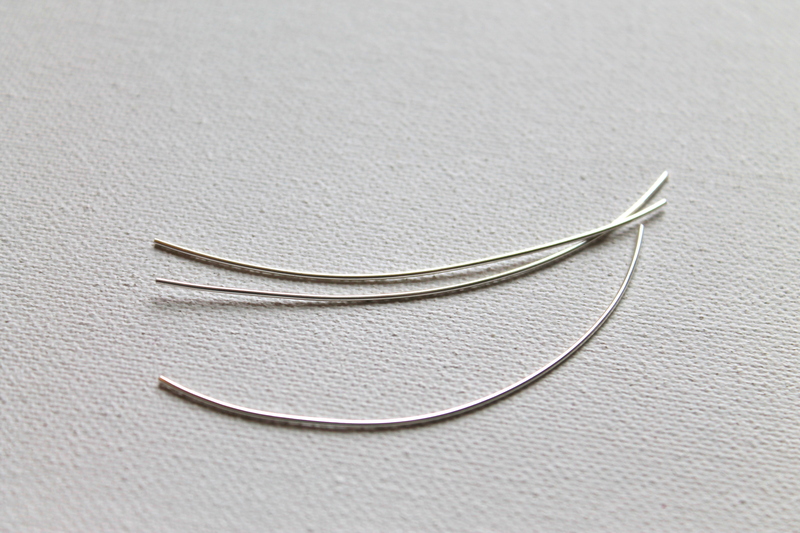 Use a different metal, like silver, or even mix the metals! Use different sizes, make your earrings longer or shorter. Use all the same size of wires. Want to stay in touch and get access to private, exclusive jewelry tutorials only to my newsletter subscribers? Put your email address in the box below and join the mailing list! I spent a lot — a lot — of years afraid of making mistakes and allowing that to keep me from creating art. When I was in high school and college, music was my life. To me, it made sense. You practice really hard and then you could play a piece perfectly. Yes, I also did play the saxophone and yes, that did require some soul and some improvision, but to me, that was still just part of a formula. If I was in a jazz band and had a improvisional solo, I still knew what key to play in, what speed and what the general melody I was riffing on. Art never felt that way to me. Since I wouldn’t allow myself to make mistakes, I never made art. When I finally started painting and then discovered acrylic paints, I realized that I am a painter and that I actually am a creative person. We all are, if we just allow ourselves to be. 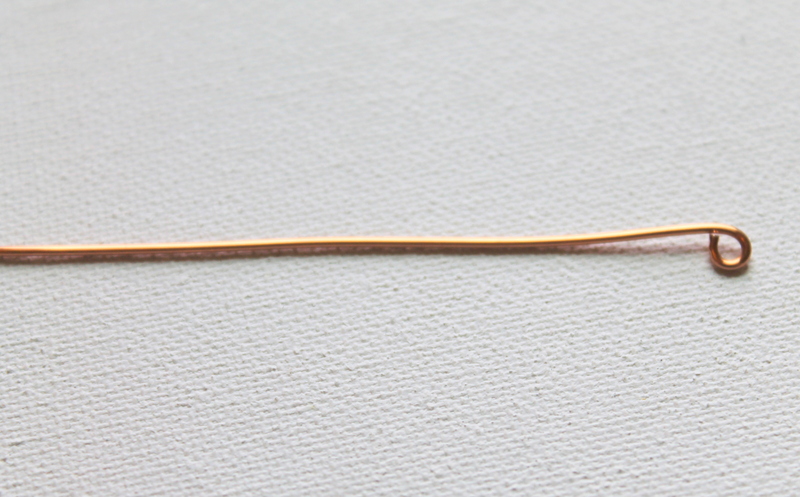 Making jewelry is the same thing. Yes, there are certain skills and tools. You can follow patterns and instructions. But you will make mistakes. And mistakes will most certainly be the way that you discover a new technique or a new way of doing something. But oftentimes, mistakes are exactly what you need to make your masterpiece. 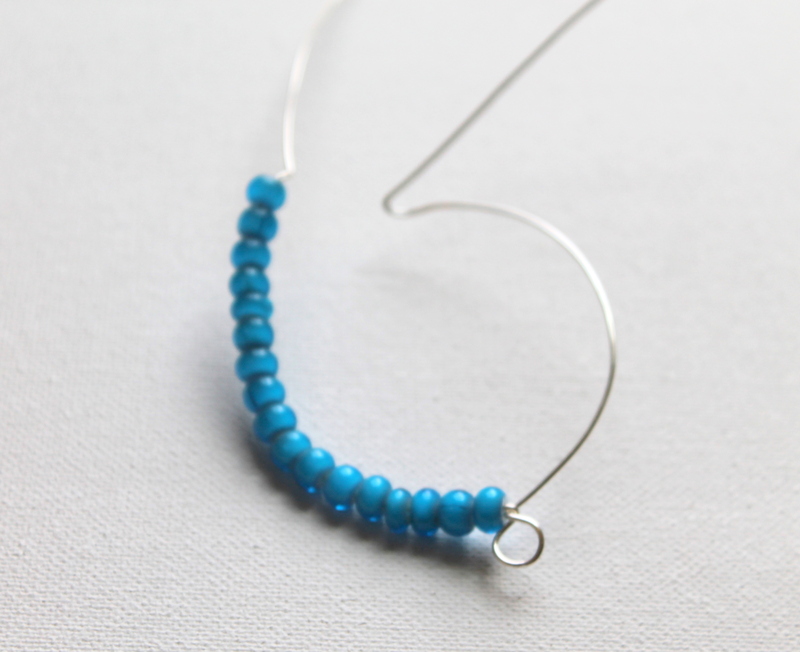 Figuring out when you embrace your mistakes and when to let them go is really the key to becoming a jewelry artist! 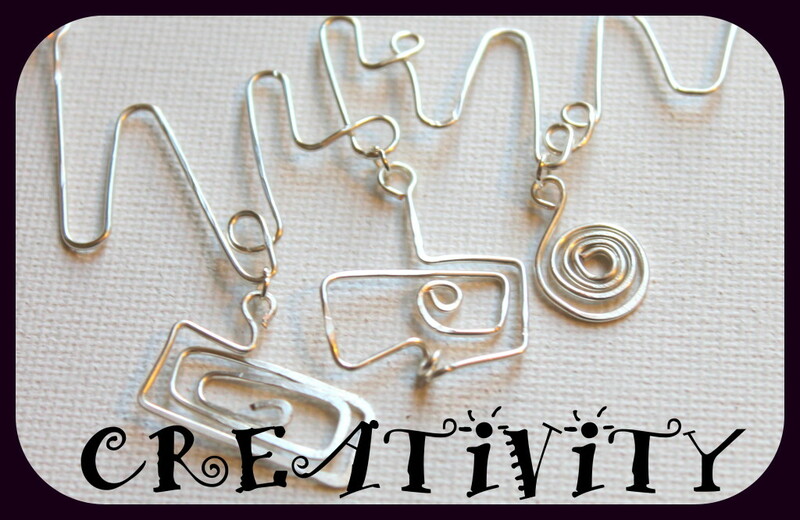 Ready to get creative AND learn new jewelry techniques, and make some expressive creative jewelry? Pop your email address in the box below and I’ll let you know when my new free mini eCourse about just that is ready! !